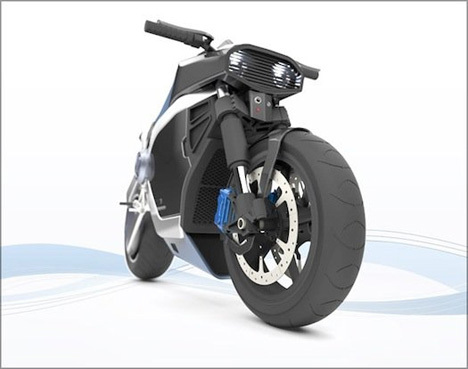 While most electric motorcycles are charged between rides, a new concept bike from designers Olegs Zabelins and Pavels Sevcenko wants to switch things up a bit. 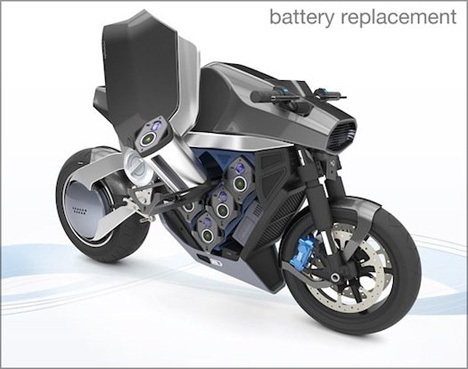 It seems like they had video games in mind when they upgraded the previous charge system to include interchangeable battery packs for the Nirvash Electric Motorbike. 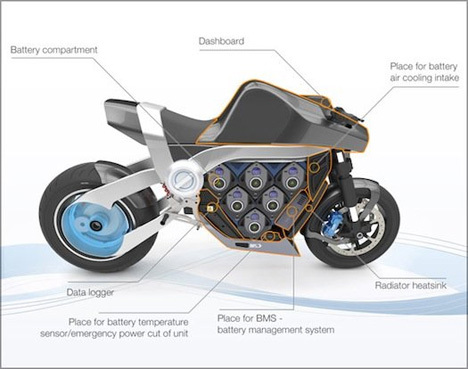 The concept is very simple: on the side of the motorbike is a flip-up panel that hides a honeycomb-like cluster holding the six batteries. The benefits are numerous. It’s eco-friendly, waiting for the entire bike to charge is now a thing of the past, and the replaceable batteries could cut the cost of repairs. The designers claim the batteries will take no longer than ten minutes to charge. That’s just enough time for you to grab a latte and a muffin before jetting off into the future. See more in Concept Vehicles or under Transportation. June, 2013.